When you think about your business’s marketing, it can be easy to focus on attracting new clients or customers. The greater number of clients you have, the greater your revenue (in theory). However, marketing isn’t just about reaching out to people who haven’t heard of your business. You should be actively using maintenance marketing to retain current clients. Maintenance marketing efforts can be easy and cost-effective. It’s all about taking advantage of the tools at your disposal. Here are some maintenance marketing tips you can use for your dental practice. Social media are some of the easiest tools to use for maintenance marketing. If your clients opt in to your channels (by following your accounts), they become an easy-to-reach audience with which you can communicate. Create relatable, useful content about your staff, office, and offers to keep those patients engaged. Facebook and Instagram provide helpful information about your social audience, so it’s easy to tell with whom you’re communicating. You can begin to tailor your content to this audience and create a mutually beneficial relationship. Social media are powerful, free tools that you can use to build an audience of clients. Two other great options for maintenance marketing are email blasts and newsletters. You probably already collect email addresses as part of your patient forms. You can create a en email list to use for an “email blast,” when you want to reach out to clients who already use your business. 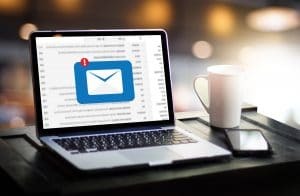 You don’t want to use email blasting too frequently, as this can be annoying for recipients, but it’s a great channel for sending information to your clients about special offers and practice news. Newsletters create the same sort of dynamic, but if you organize a regular schedule for a newsletter, it can become part of your patients’ routines. On a monthly basis, send out updates about the practice, special community events, and offers to keep your patients informed. Maintenance marketing is all about targeting the people who already use and like your business. That means that these marketing materials are less about making impressions, and more about getting useful information to your patients. It’s effectively like working with a lead. That means that marketing efforts made here are worth your time and effort — especially when you consider the affordable tools you have at your disposal! In addition to designing websites for dental practices, we also create custom marketing materials. Let us help you target the clients who already enjoy using your business. Learn about our full capabilities by giving MDPM Consulting in Dallas, TX a call at 972-781-8861.